If you are looking for a product that can be helpful in the treatment of athlete’s foot, reading this review of Hydrozole will help in evaluating its effectiveness. It can provide relief from a variety of skin health problems, such as itching, swelling, and redness. It has a dual action formulation, which enables the product to ease inflammation and tackle the root cause of infection. From the first time that a sign of infection is experienced, Hydrozole should be used to minimize possible negative impacts. As recommended by the manufacturer, apply a small amount of the cream on the surface of the affected area. This should be done two or three times in a day. Make sure to rub it thoroughly and be sure that no cream is left. We have found no information online about the price of the product. I have personally used Hydrozole and I can say that it is effective. It eliminated my skin problems and produced long-term results. It significantly minimized the symptoms of athlete’s foot, especially redness. It also made my feet smell fresher compared to how it was during the infection. Make sure to follow the frequency of application that is recommended by the manufacturer to eliminate the likelihood of suffering from adverse side effects. In addition, the duration of its use should also be in accordance with whatever your doctor will prescribe. Although there are possible side effects, the manufacturer reiterates that there is a small amount of users who suffer from such. Some of the side effects that are commonly experienced include dryness, blisters, redness, itching, appearance of lumps that appear like acne, and worsening of the skin condition. If in case you experience side effects, make sure to consult with a healthcare practitioner as soon as possible. It should be noted, however, that the manufacturer is not offering any form of product guarantee. They do not accept refunds for returned products. In addition, the website does not also provide reviews from their past customers but there are many that you can find online, most of which are favorable. 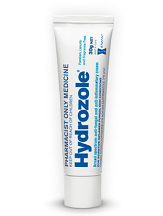 Hydrozole promises to provide an effective relief for athlete’s foot. Its application on the affected area can be completed in a snap. Also, no or minimal side effects can be anticipated, as long as the frequency and duration of use is followed. One of the drawbacks of this product is the absence of a money-back guarantee from the manufacturer. This means that if you are unhappy with the use of the product, you cannot have it returned and you will not be eligible for a refund. It would be better to opt for other alternatives with a better product guarantee.